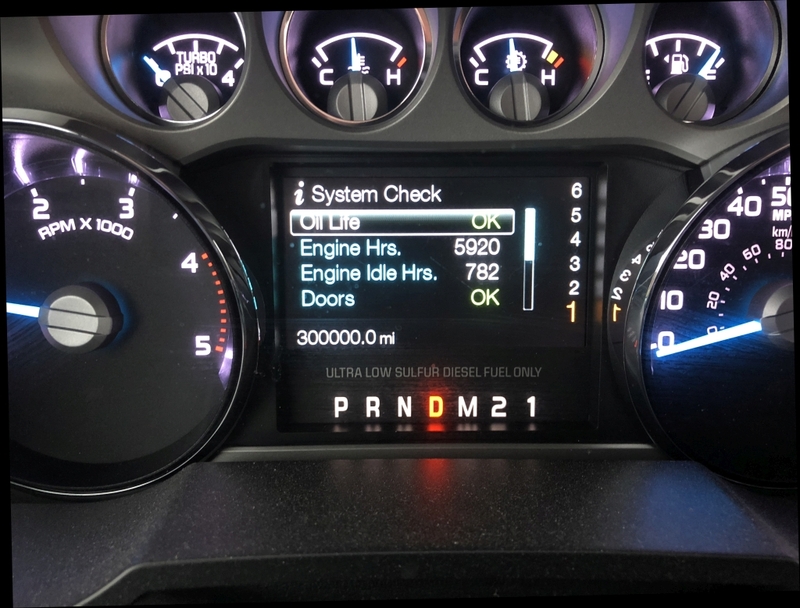 Diesel Forum - TheDieselStop.com > 2011 - 2016 Ford Super Duties > 6.7L Power Stroke Engine and Drivetrain > Is there a 500,000 mile 6.7L out there? Is there a 500,000 mile 6.7L out there? Ford didn't make the 7.3, or the 6.0 or 6.4, international (Navistar) did. sorry very true did ford fix what Navistar messed up or not? HA! Ford invented their own set of problems. Or more correctly, inherited them from the EPA. So, now that we got all that out of the way, this is an interesting question. I have heard of a couple getting in the 250K+ range. Any higher than that?? thank you for the mileage. are those still running or was that the mileage they needed to get extensive work done? I talked to a wrecker driver that said they had trucks with nearly 400K on them and no engine problems. They had been deleted early on and a lot of people think that adds to the longevity. I don't really remember for sure. I know they still had them, but I don't remember of they did any minor or major work on them. 280K here, stock configuration. All highway miles. larrgh, SadlerB_98 and badbart like this. I don't think the emissions systems on our trucks cause engine failures it's the lack of maintenance that does it. People never lift the hood to inspect anything.They let dirt build up on the motor and wonder why something is broke. I dust off my motor every time I wash my truck. I inspect everything I can see to make sure it looks good. My truck has been reliable so far. I only have 60,000 miles but have towed my 13,000# 5th wheel 30,000 of those miles. North Country Motors Lancaster NH. He's my long time bought many trucks etc. dealer. If he say's it's so it's so. my 2012 has 290K stock. Nice truck!!! looks like you take care of it. Congrats!! !